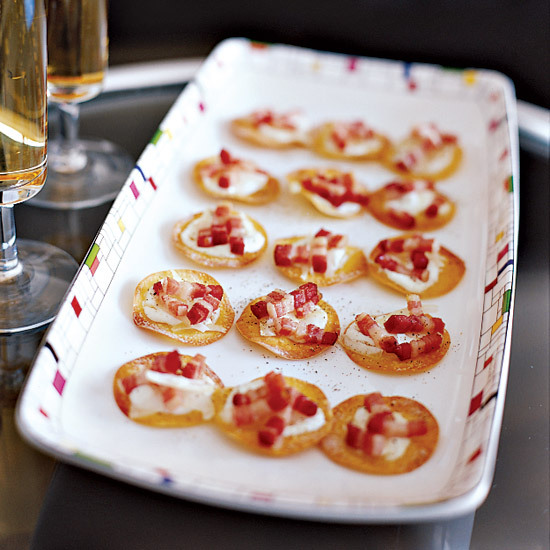 Set the tone for a holiday feast with beautiful, delicious appetizers. 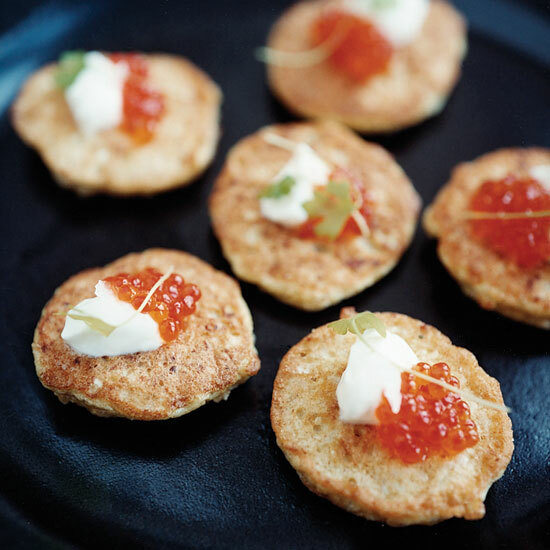 Whether you're hosting a casual get-together or a lavish affair, these small bites are perfect for any occasion. 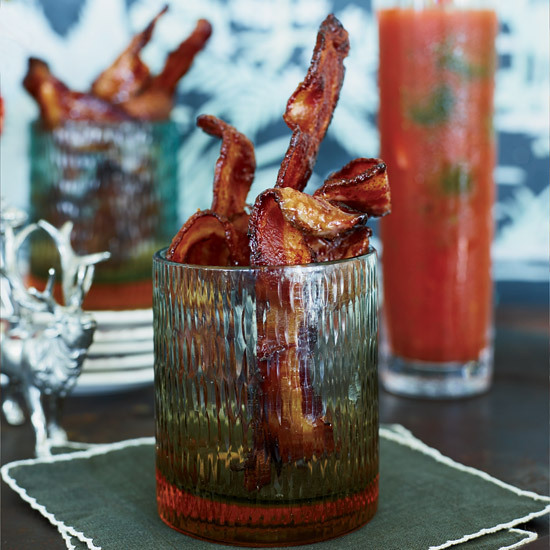 From bacon candy to a broccoli cheese dip, here are superb Christmas appetizers. 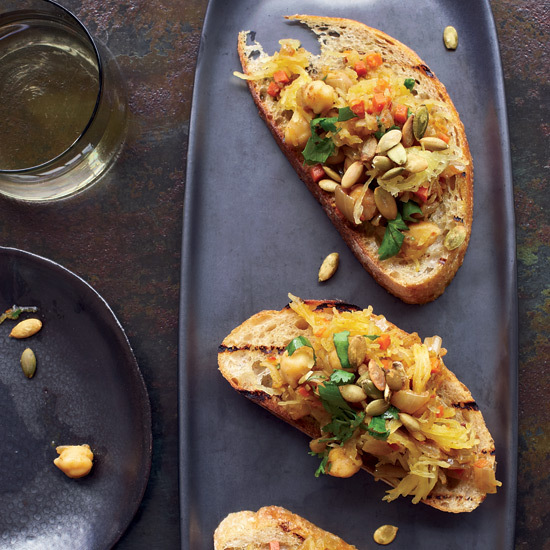 Olives marinated in citrus juice, garlic and spicy crushed red pepper become a sensational cocktail-party snack. 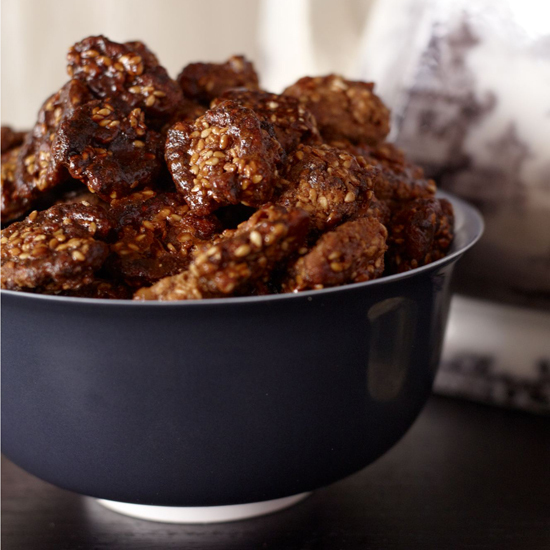 Put these out after dinner, as well, for any guests who want something light and simple to snack on. Slow-roasting white chocolate makes the cocoa butter in it silky, rich and caramel-like, a technique championed by pastry chef Belinda Leong. Valrhona’s Ivoire white baking chocolate has just the right amount of cocoa butter for this spread from mkgallery’s Justin Chapple. 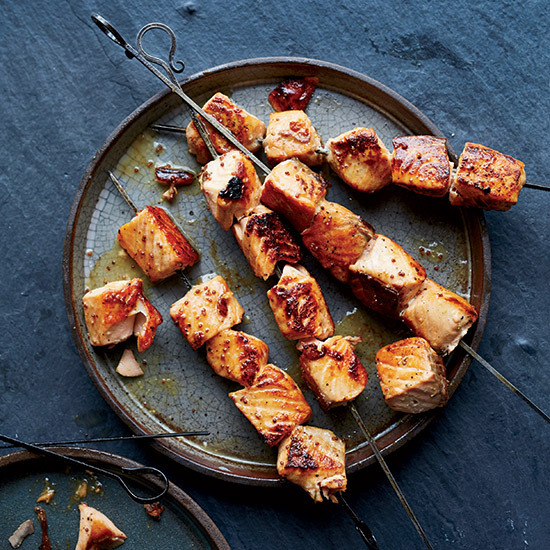 Ali Banks created these delectable skewers to showcase exceptional fish. 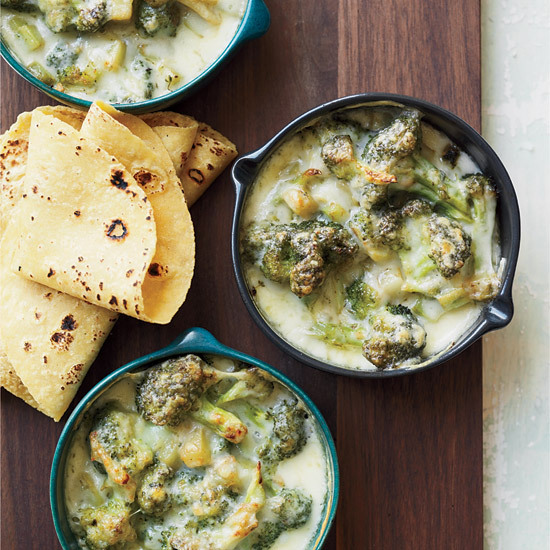 Sweet roasted winter squash makes a fantastic base for a healthy dip. Here, mkgallery’s Kay Chun gives it an Indian spin by adding curry, as well as fresh jalapeño and lime juice. 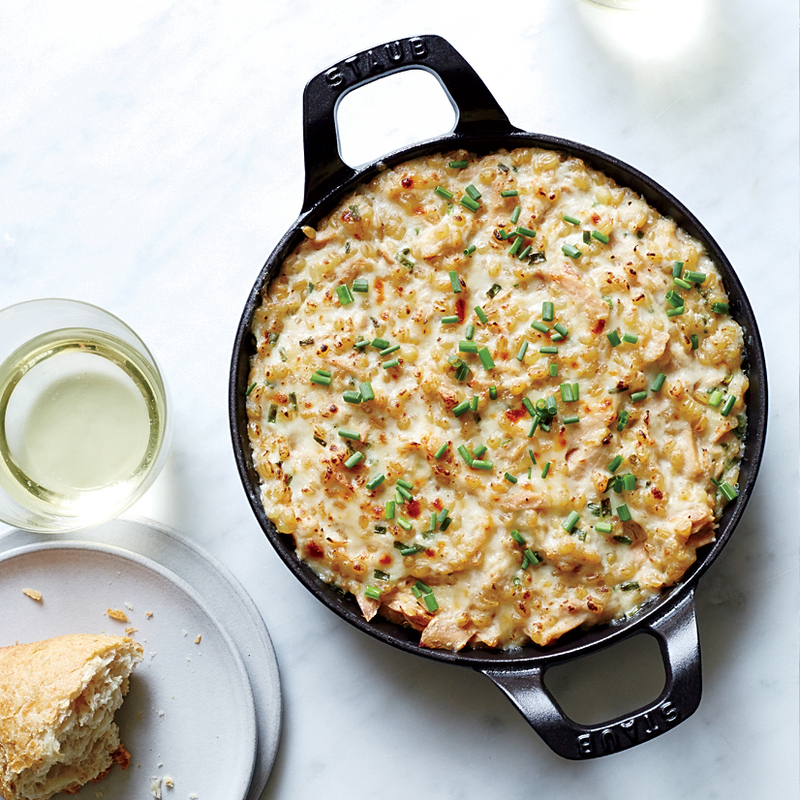 mkgallery’s Kay Chun is the genius behind this easy cheese dip, inspired by a tuna melt. 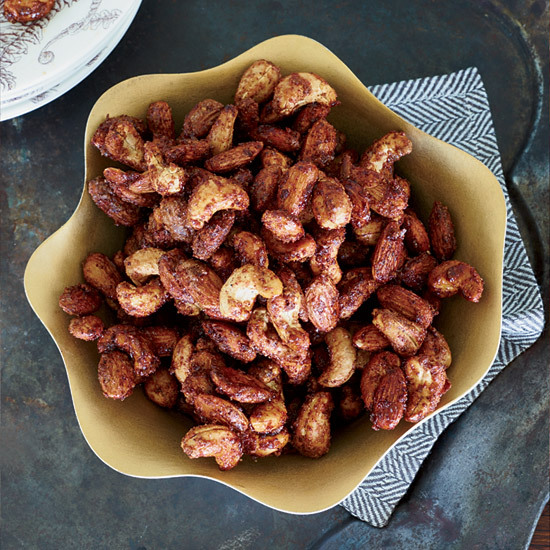 This three-ingredient snack is crispy, sweet and salty. 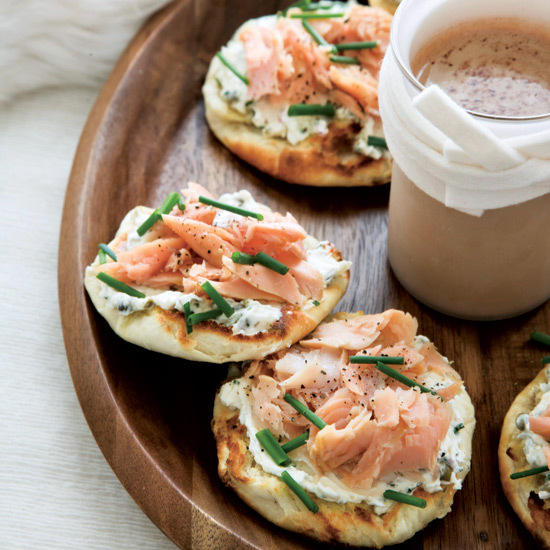 It’s the ultimate cocktail party hors d’oeuvre. 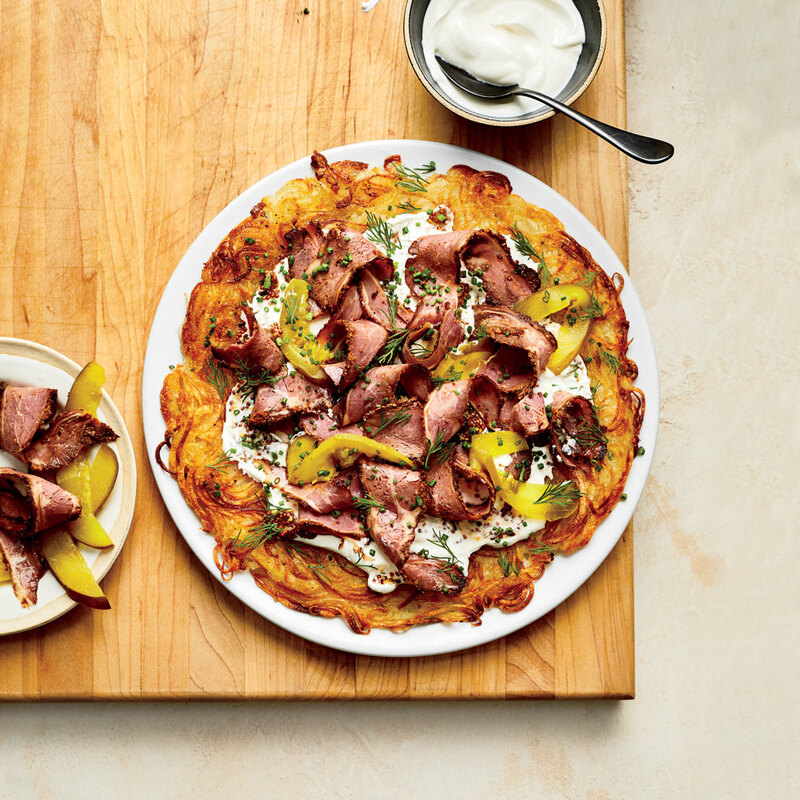 Jonathon Sawyer uses his grandmother’s old Griswold cast-iron pan to cook these crispy potato pancakes, which he amps up with tangy sauerkraut, fresh dill and caraway. 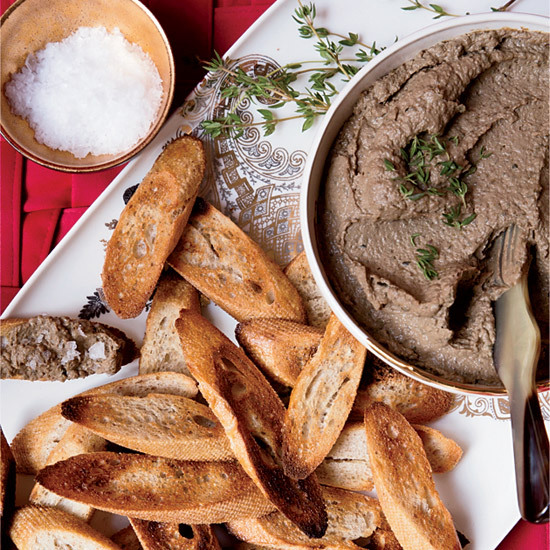 This smooth and creamy chicken liver pâté is flavored with onions, fresh herbs and Marsala, then blended with crème fraîche. 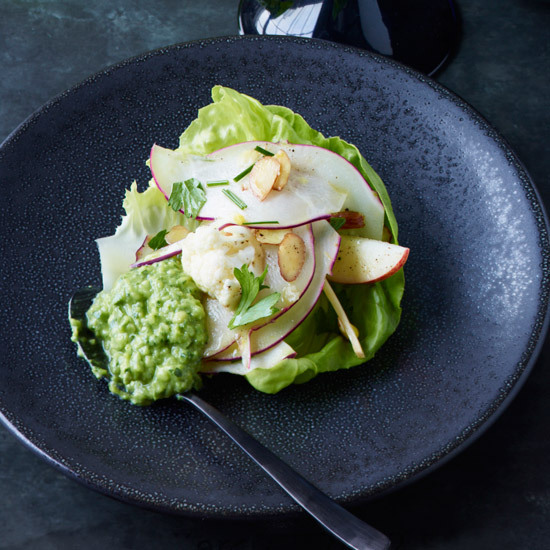 Bronson van Wyck chops the lettuce for this salad very finely to become a topping for crunchy, garlicky toasts. 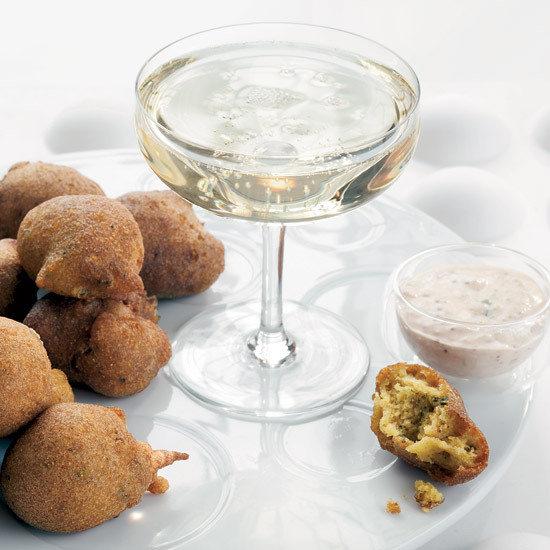 Emily Kaiser Thelin created these crispy hush puppies—cornmeal dumplings—by adapting a recipe from chef Susan McCreight Lindeborg. 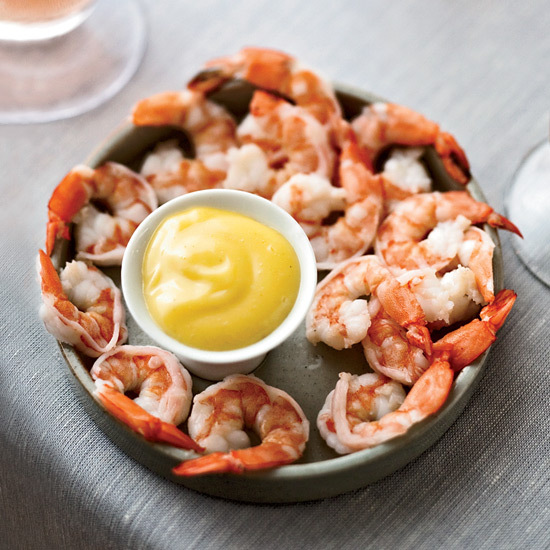 Emily serves them with a version of the creamy French sauce remoulade, which she spikes with Tabasco and a little ketchup. 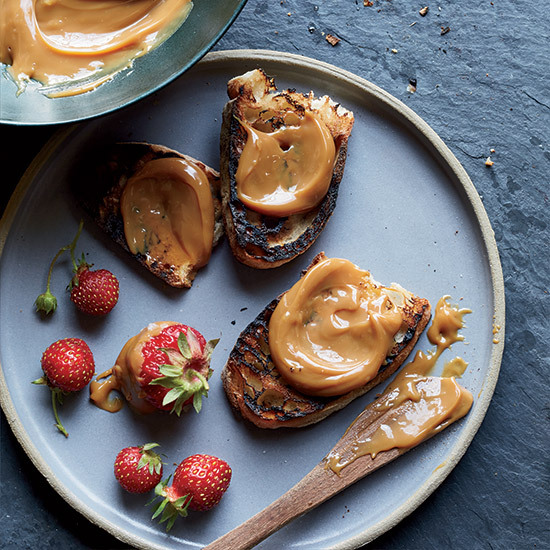 This is a variation on a cocktail-party classic. “What’s simpler, more affordable and more universally liked than an egg?” says Tamar Adler. 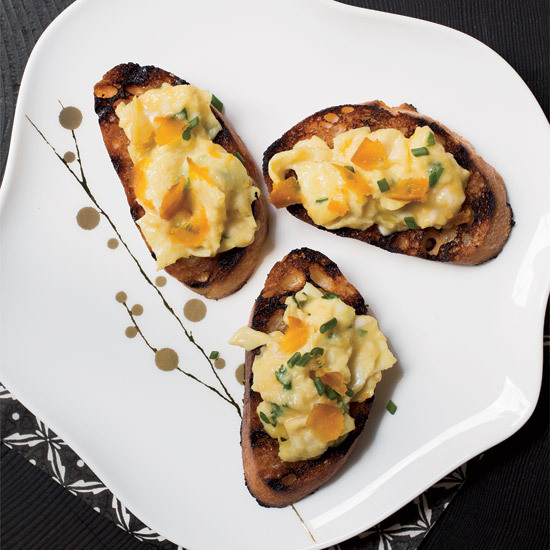 Here, she cooks them with herbs and spoons them onto toasts with shaved bottarga. Spaghetti squash gets its name because once it’s cooked, you can use a fork to pull the flesh into long, thin strands. 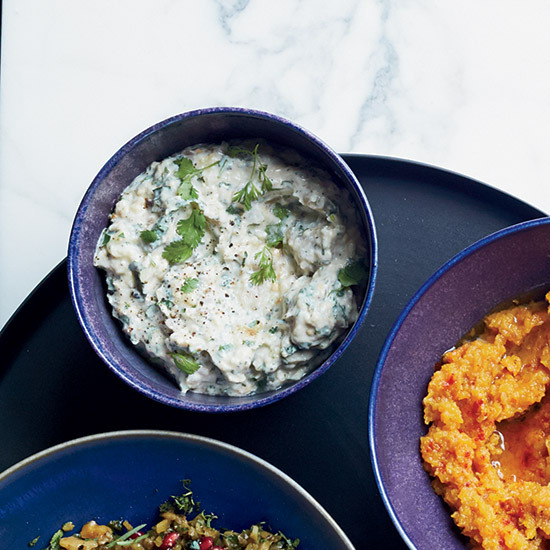 Jonathon Sawyer makes his own curry and cooks his own chickpeas for this vegetarian dish, but this simplified recipe calls for store-bought curry paste and canned chickpeas. Sawyer roasts the seeds from the squash and uses them as a garnish; pumpkin seeds from the supermarket are a fine substitute. 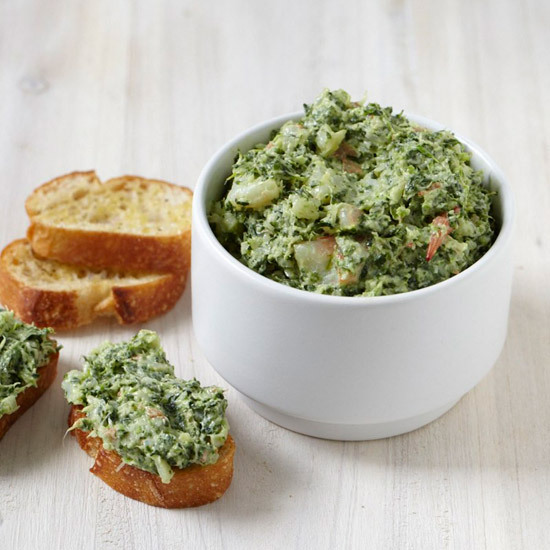 This elegant crudité is perfect for a hearty holiday meal: Lightly dressed vegetables are served in lettuce cups with Green Goddess dressing for dipping. Jerry Traunfeld toasts and grinds whole coriander seeds before pureeing them with roasted cauliflower, tahini paste, lemon and cilantro. 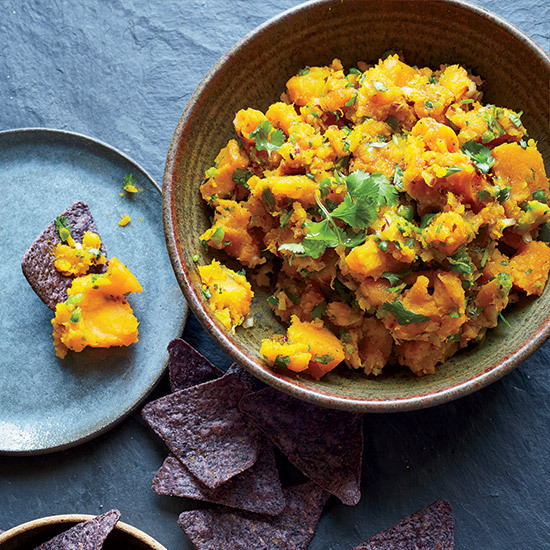 Simplify the recipe by using ground coriander from a bottle to season this bright, tangy recipe. 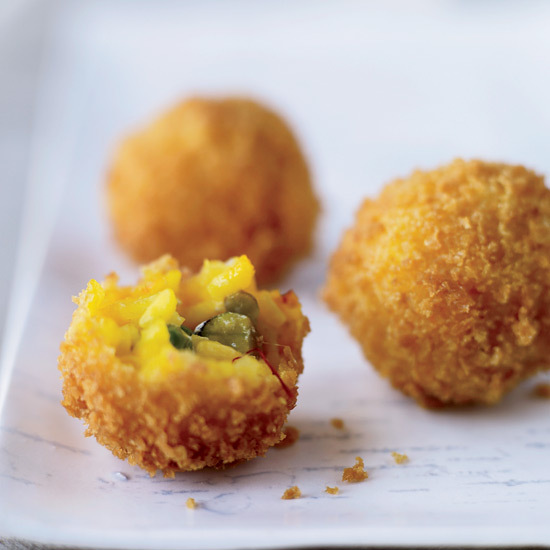 This recipe for arancini—fried risotto balls—comes from Renato Poliafito, who got it from his Sicilian cousin Emanuele Sanfilippo. 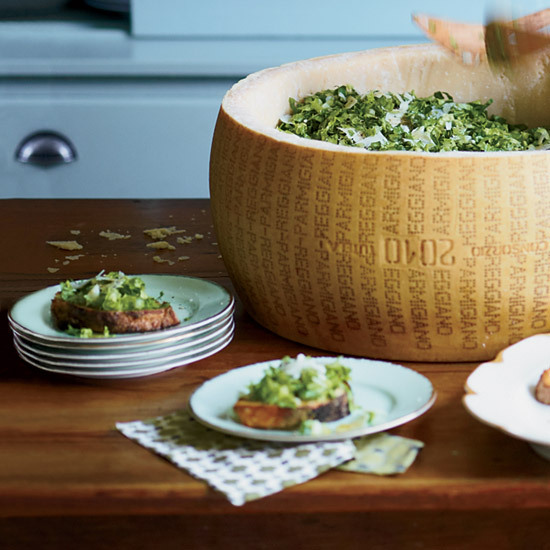 “Renato is obsessed with arancini,” says Matt Lewis, “especially this version with toasted pistachios.” These arancini are the size of tangerines, filled with creamy, cheesy rice, studded with nuts and green peas and encased in a great crunchy crust. 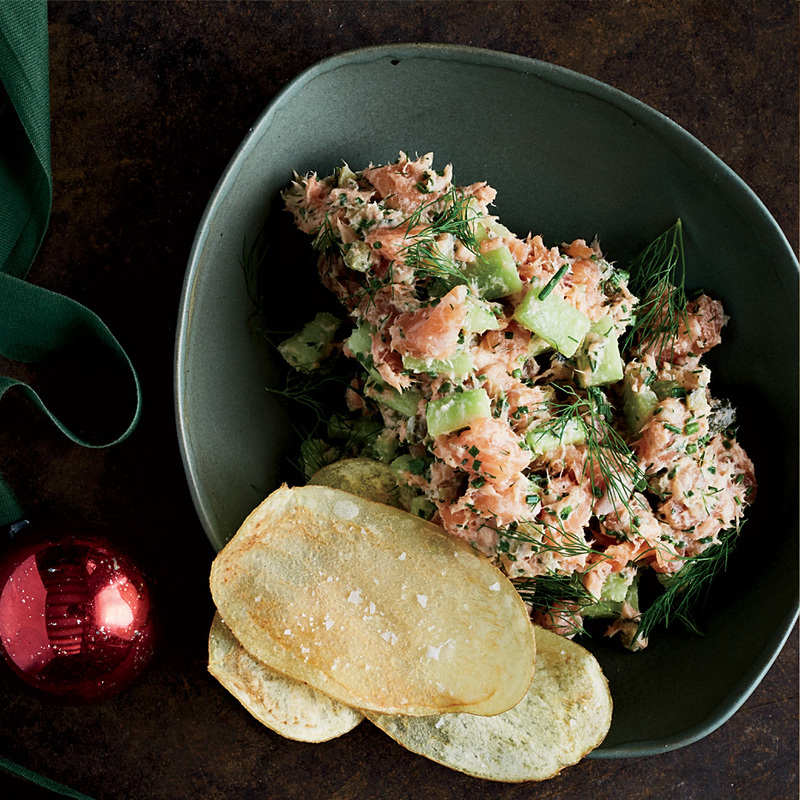 Impress your Christmas dinner guests with this herbed salmon tartare, which is super-easy to make. 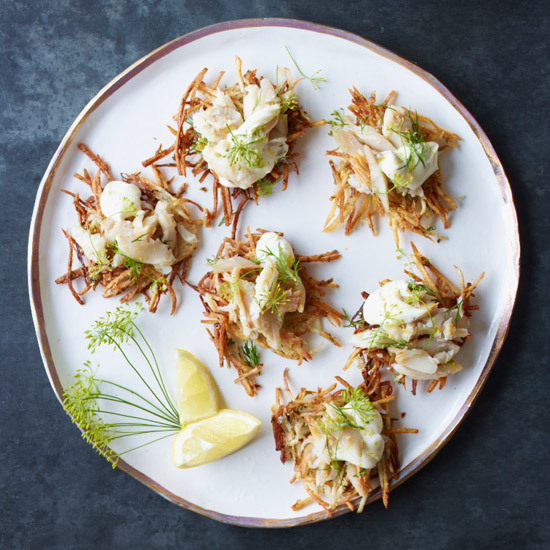 Gail Simmons’ potato rösti can be made extra-large (and cut into wedges) or prepared as smaller, bite-sized pancakes. 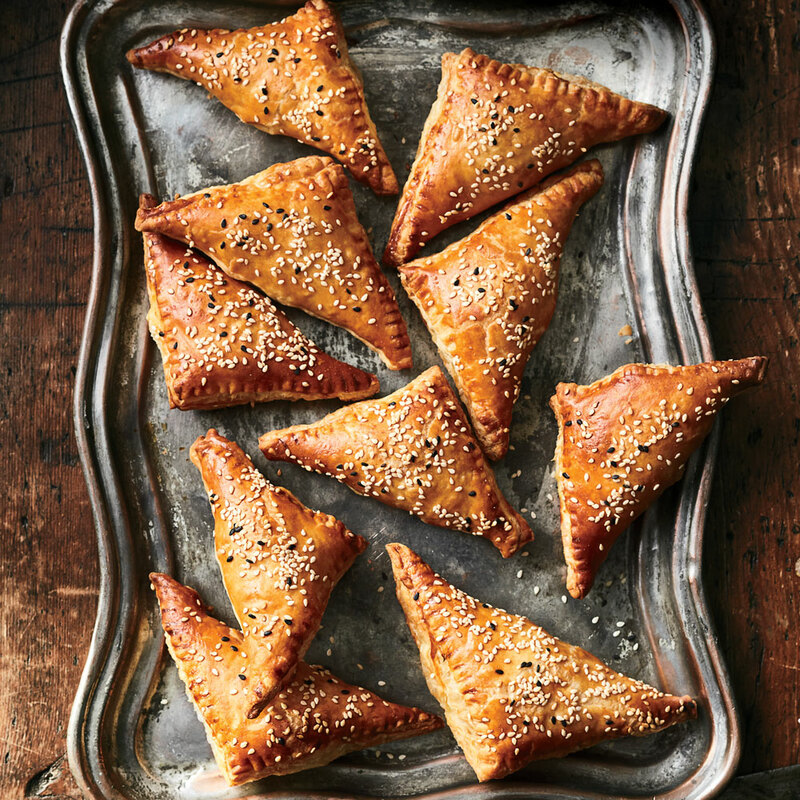 Chef Mike Solomonov’s sweet potato and feta bourekas, made with store-bought puff pastry, are atypical yet delicious. 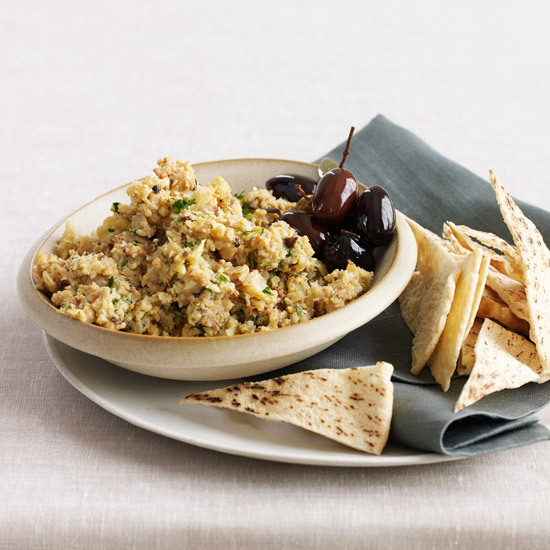 Swap out hummus for this unique take on baba ghanoush, and serve with crudité and warm pita bread. 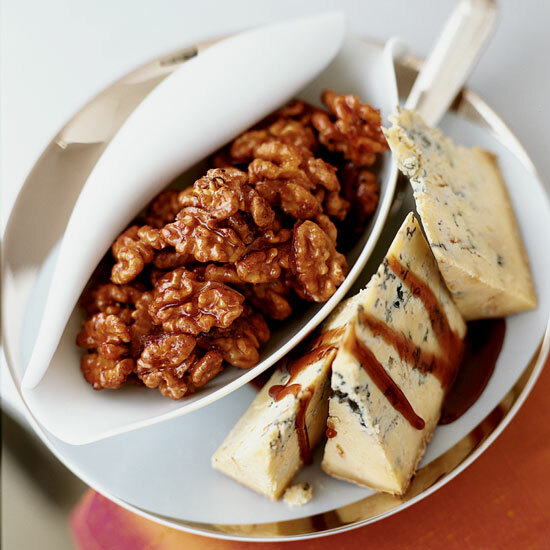 Chef Grant Achatz’s part-crunchy, part-creamy personal puddings are flavored with sage and lots of cheddar cheese.